Back in 2011, my mother got diagnosed with terminal cancer. Unfortunately, she passed away in 2012, but while she was still alive and sick cannabis helped increase her life quality a lot. Together we got her doctor to write up the necessary documents for her to use medical cannabis legally in Norway. This was quite a bit of work back then, and it was only really possible through a loophole in the legal system. I might write up a few more posts on this topic in the future, but for now, I just wanted to put some of my experience into context for all of you. My mom had pancreatic cancer, so for the cannabis to be able to do its healing most effectively she had to swallow it. She hated the taste of cannabis so most types of edibles were out of the picture. Since she required quite large doses at times I found it best to come up with a better solution for her... 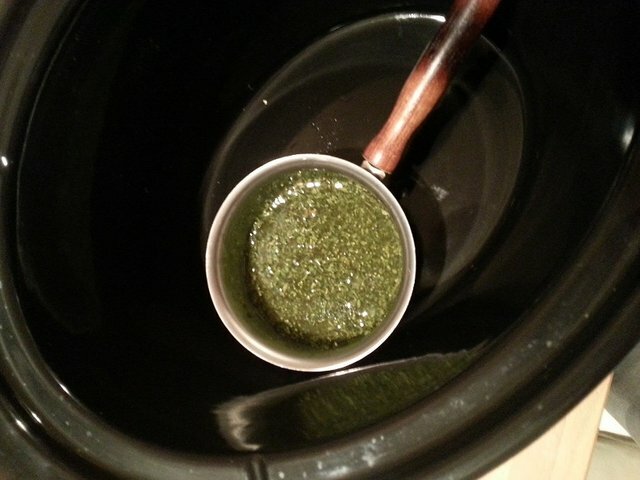 So here is my personal version of how to make cannabis-infused gel capsules. Hopefully, it will be useful for someone in medical need of some herbal healing. Grind up all of your weed. 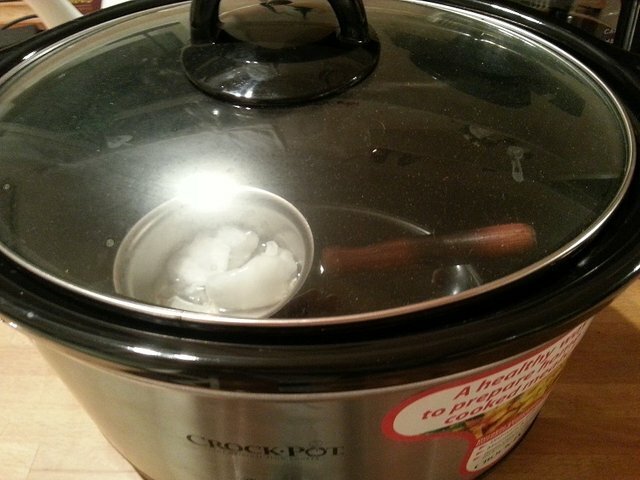 Put your coconut oil in a small heat-resistant container and put the container inside of your crockpot. Turn on your crockpot and set it to low. 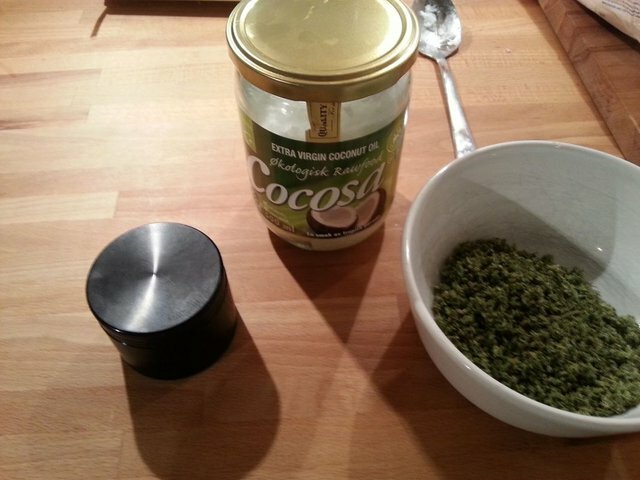 Add your cannabis after all of the coconut oil has melted. Let it sit in the crockpot for at least 4 hours, and stir it at least once every hour. 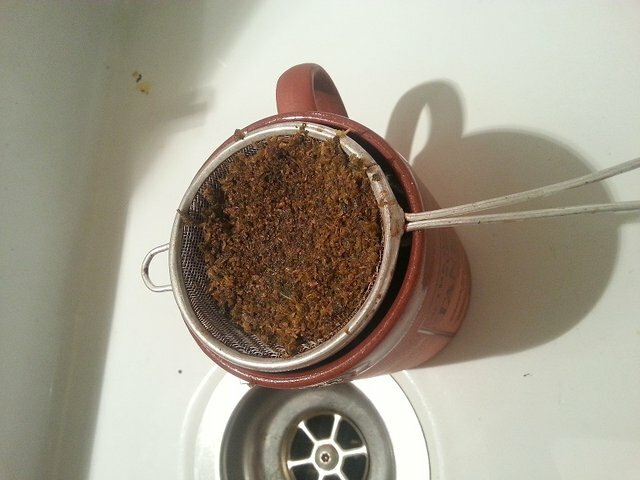 Now it's time to sift away all the plant matter from the oil. You can use something like a paper coffee filter, or some sort of cloth wrapped around the plant matter to be able to squeeze out the last drops of oil from it. Then let the oil cool down until it's at body temperature or lower. Don't let it get too cold though, because then the coconut oil will harden and lose its liquid form. Fill your capsule tray with the lower half of your gel capsules. 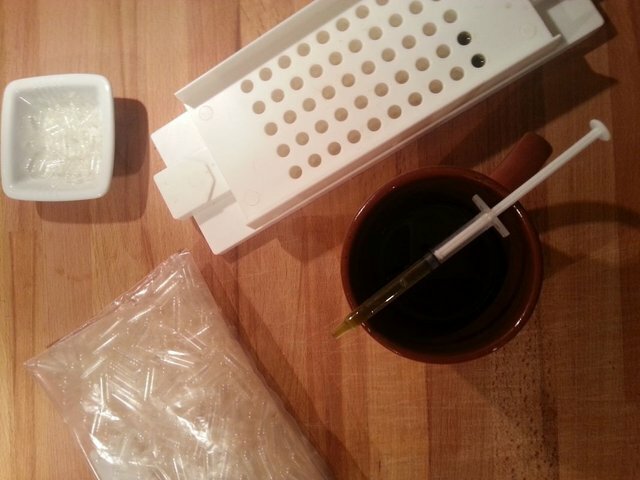 Then fill a measuring syringe full with oil from your container, and fill all the capsules. Add the top half to all of your capsules, and you are pretty much done. The finished product is best stored in a closed container in a refrigerator. If stored this way the capsules will stay good for many months. Slow cookers are incredibly good at keeping a constant temperature. Because of this, they are one of the best options for decarboxylating your weed thoroughly without much risk of doing anything wrong in the process. A reason why I use coconut oil in my recipe is that it stays solid in normal room temperature. If you have liquids inside of gel capsules they can start to leak, so coconut oil is the perfect fit! Upvoted and resteemed! :) I'd love to pick up some vegan gel caps and try this. Do those trays work to make suppositories too? Yeah I like doing that. I often come back to steemit as my recipe book haha. In Netherlands we were producing our canna-oil in the similar way but later we used it for baking canna-brownies instead of medicine. From 15g haze we made 18 brownies, one was more than enough for a whole day for an adult so I am curious about effects after one pill. It is also very interesting that you could buy(or plant?) marihuana legally in Norway. You received more than 50000 upvotes. Your next target is to reach 55000 upvotes. Thank you for this! I've always wondered how they make this stuff! Much appreciated.